Your servers make up the underlying infrastructural system upon which your company is built. But without proper management and professional planning, these crucial systems can also turn into a huge headache. IT personnel end up running their socks off trying to fix breakages, sluggish server problems, and user complaints. The last thing you want to hear in a strategy meeting is your IT manager break the news that your server system is broken and needs a full restructuring in order to handle the extra load of your expanding business. These infrastructure changes often come at high costs and low speeds, and management has to shell out some extra cash for a hefty supply of painkillers. 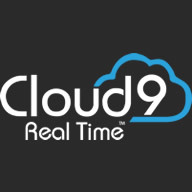 An increasing number of businesses across the nation have experienced the revolutionary benefits of private virtual server solutions from Cloud9 Real Time. With our cloud server services, we’re able to move your entire server infrastructure to a cloud-accessed off-site location that we monitor and maintain on behalf of your business. The key to success in business growth is building a scalable business model. While businesses can hire new employees, expand their services, and bring in more customers and clientele, their IT infrastructure and technical business operations must be able to keep up. Servers can become sluggish, unorganized, and difficult to manage – and that’s an issue that can be difficult to fix while keeping business operations running smoothly. Instead, businesses around the country are finding that cloud-based server solutions are far easier to manage (because you don’t have to!) and that they establish a new level of scalability that businesses have never experienced. Not only that, but your server systems are always accessible 24/7. Like we said above, one of the best parts of moving to private virtual services is relief of the bulk of the management responsibilities. As a private virtual server provider, Cloud9 Real Time’s technical staff monitor, maintain, and manage your server systems so that you have all the support you need without your company’s in-house IT team having to raise a finger. As part of the benefits of our management services, our support infrastructure automatically updates your servers so that your systems and security are always up-to-date and squared away. A data-centric company, like most companies in US markets today, have one common concern. What happens if a disaster occurs, our systems go down, and our data is lost? How can we best protect ourselves against the very real threat of an technology-based disaster? An excellent answer to this question is saying yes to private virtual server services from Cloud9 Real Time. Our team of experts understand how to reduce the risk of a disaster occurring and know how to put processes and protocols in place so that data can be easily recover in the case of a system malfunction. Rather than handling these risk reduction tasks yourself, you can sit back in confidence, knowing that our Cloud9 Real Time team has your private virtual servers secured, backed up, and ready for any disaster that might come your way. One major complaint that most IT management personnel hear from their IT team is the problem of being bogged down in constant system maintenance and menial IT tasks. Tasks such as virus protection, monitoring, configuration, infrastructure development, breakages, user support, manual updates, and more, take up a huge amount of their time. Wouldn’t it be so much easier if these menial tasks were professionally managed by another team? Then, your IT personnel would be freed up to fry those bigger fish, making them an even more valuable asset to your company. A common concern that we hear from potential clients that are considering moving to our private virtual server solutions is that of security. However, at Cloud9 Real Time, we take our jobs very seriously. We understand that you’re entrusting us with your servers that are full of your expertly produced data, organizational systems, and often confidential information, and we feel the weight of that responsibility. As a result, we maintain top-level security measures in order to ensure that your private virtual servers are well protected and kept safe. With our cloud-based virtual server solutions, we’re able to provide you with access to your systems anytime, anywhere, and alleviate the hassle of your team having to manage your onsite systems. We provide the infrastructure, updates, security, recovery plans, nightly backups, and other important maintenance tasks, and your team can sit back and watch it happen – no headache necessary. For more information about our cloud-based private virtual server solutions, please don’t hesitate to give us a call or fill out the form on our website. We would love to have a conversation with you about how private virtual server solutions can boost your business and set you up for scalable success.